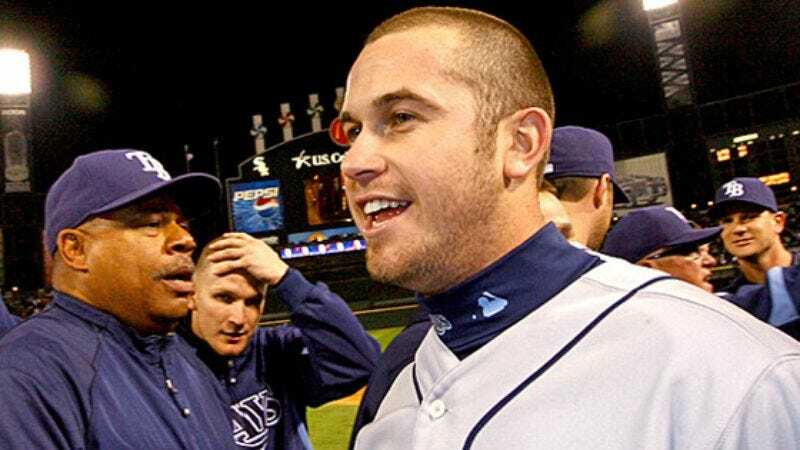 ST. PETERSBURG, FL—Evan Longoria, the Tampa Bay legend who is widely acknowledged as the Rays' all-time greatest player, was celebrated by the franchise Wednesday when the rookie was given the honor of throwing out the ceremonial first pitch of the World Series. "I couldn't think of anyone more deserving than Evan, who is easily the most outstanding player in this team's storied 10-year history," Manager Joe Maddon said of Longoria, who played all six months of his career with the club. "Younger baseball fans might not realize it, but some day, say a year from now, they'll look back and remember when they saw the Rays honor the best to ever play a regular season with the team." After throwing out the first pitch, Longoria waved to the cheering crowd and jogged to his position at third base.